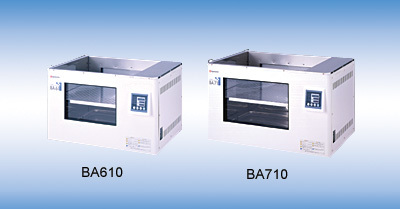 The BA/BKmodelsaredeepconstant temperature water baths. 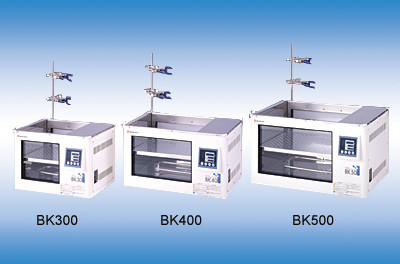 The BKmodelenablesfixedoperation, while the BA model allows forprogrammedoperation.Foreach model, there are five kinds of tankcapacities:27L, 42L,70L,109L, and 144L. 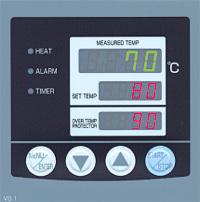 An extremely highdegreeoftemperatureadjustment precision is achieved byusingahigh-precisionthermostat and circulation pump. 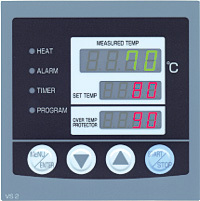 Settings for thetemperatureandtimer canbe easily input using the up and down keys,andthesettings appearon a digital display. Temperature risingtime Approx.120min. Approx.110min. Approx.165min. Approx.220min. Approx.300min. 1min.to 99Hrs. 59 min. to 999.5 Hrs. Safetycountermeasures Self-diagnosisfunction(Heater defective, Triac shortcircuitandOverheatprotector), Over current, Electricleakagebreaker.